A high-profile UKIP politician is facing a racism storm after being caught on camera saying all immigrants to Britain should be sent back home. Victoria Ayling, who made headlines when she defected from the Tories in March, made the inflammatory comments in a 20-minute video seen by The Mail on Sunday. Last night one MP said he was ‘disgusted’ by the comments that had ‘no place in front line politics’. Mrs Ayling, 54, became a high-profile recruit to UKIP when she confronted David Cameron during this year’s Tory conference and told him she was leaving the party. She has been called a ‘trusted ally’ of UKIP leader Nigel Farage, so her comments will come as a blow to the party following a year of controversies. Earlier this year, MEP Godfrey Bloom provoked anger after referring to ‘Bongo Bongo Land’ in a speech about foreign aid. He later resigned from the party after he called some female activists ‘sluts’. 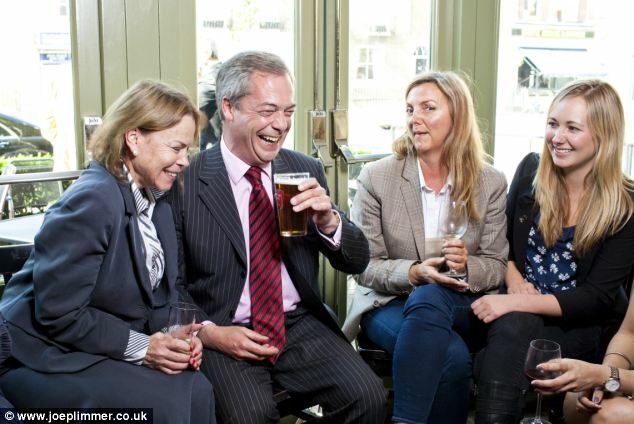 Mr Farage last night said that Mrs Ayling’s comments were ‘slightly odd’. He added: ‘I have met her two or three times and I have discussed policy at length before accepting her into the party. The video was shot in 2008 – but Mrs Ayling last night said she stood by the comments. In the very next take, Mrs Ayling – a Lincolnshire County councillor and deputy leader of the local UKIP party – says : ‘Multiculturalism is dead, I’m allowed to say that, but maybe Britishness is waving the National Front flag a bit. Last night, Mrs Ayling insisted her comments were taken ‘out of context’ and she was only referring to illegal immigrants. ‘Victoria will do anything to further her political career. She felt she was passed over by the Tories, that’s why she defected. She has a better chance of being an MP or MEP with UKIP. 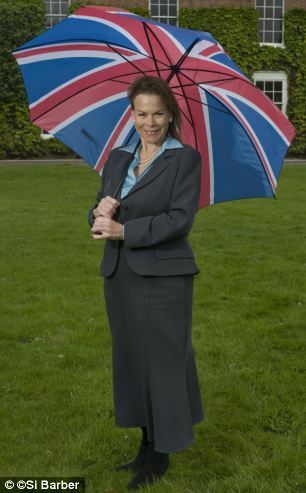 It is complete opportunism, power at all costs.’ Mrs Ayling was within 714 votes of becoming Tory MP for Grimsby at the 2010 Election, and since joining UKIP has enjoyed a high profile. One insider said she was a ‘trusted ally’ of Mr Farage: ‘She was fast-tracked for a council seat and then went on the BBC politics show. 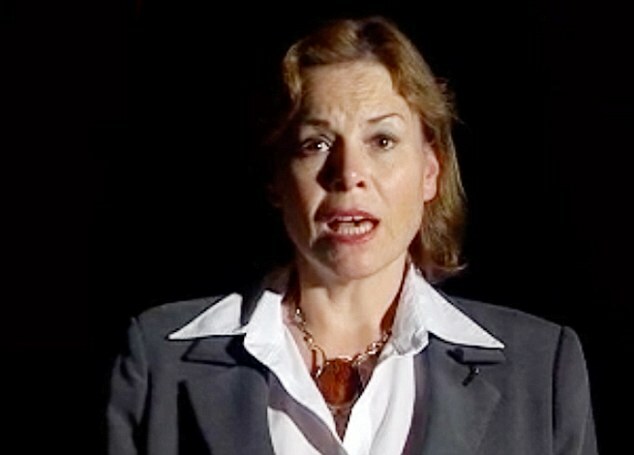 The footage was shot when Mrs Ayling was seeking selection as a Tory candidate for EU elections and features soundbites on several issues. In between takes she is asked about defence: ‘Do we want the French to order our troops?’. The couple divorced acrimoniously last year and Mrs Ayling now lives with Kevin Couling, who calls himself a ‘Lord’ after buying a title. The couple gave an interview to German newspaper Der Spiegel in June this year in which Mrs Ayling said Mr Cameron should ‘declare a state of emergency and close the borders’ to curb immigration. Last night, local MP Stephen Phillips, said: ‘Immigration is a huge issue. But anyone who says they “just want to send the lot back” has no place at all in frontline politics. A UKIP spokesman last night said the party stood by the councillor and that the media ‘hampered debate on immigration’ by ‘failing to make the distinction between a frank discussion and unpalatable views’. ‘Given that this was before the time Victoria joined UKIP we cannot comment on why this video was made for the Conservatives. Mr Farage said he did ‘recruit’ Mrs Ayling but was not involved in her selection as a local candidate. Victoria Ayling hit the headlines earlier this year after ambushing David Cameron to tell him that she was leaving the Tories. Shortly after the Prime Minister had finished his Conservative conference speech on March 16, Mrs Ayling cornered him to say she was defecting to UKIP because the Tories were ‘no longer the party of aspiration’. She claimed Mr Cameron ‘lost his temper’ and then ‘twisted’ her hand in anger – a claim that has been categorically denied by Downing Street. 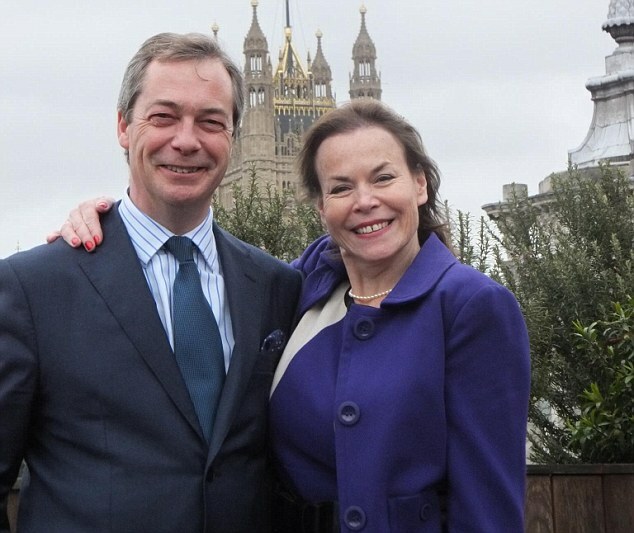 UKIP leader Nigel Farage hailed Mrs Ayling’s defection as ‘fantastic’ and described her as a ‘talented and experienced person who will work hard across Lincolnshire, the East Midlands and, indeed, the county’. She was then parachuted into Lincolnshire to fight for a county council seat. Mrs Ayling was left feeling ‘emotionally betrayed’ after her ex husband left her for a former beauty queen. The UKIP councillor and Rob Ayling split acrimoniously last year after he had an affair with Kristian Darling. She was a finalist in the Miss America competition in 1987, aged 17. A decree absolute was issued in August last year. Criticising Mrs Ayling for asking for too much from the settlement, a judge said at the time: ‘The wife has been unrealistic in this litigation. 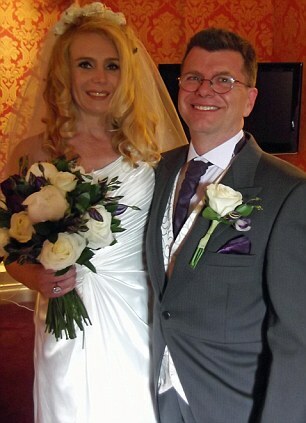 Mr Ayling married Miss Darling on Easter Day this year. The couple divide their time between the US and UK. Mrs Ayling lives with Lord Kevin Couling, who is believed to have bought his title, the 64th Lord of Little Neasden.